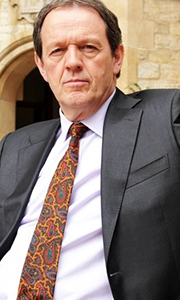 Kevin Whately stars as Detective Inspector Robbie Lewis, ably assisted by Laurence Fox as his partner D.S. James Hathaway. Together they investigate murder mysteries against the glorious backdrop of Oxford and its historic colleges. With Clare Holman as Dr. Laura Hobson, Rebecca Front as Chief Superintendent Innocent and introducing Angela Griffin as D.S. Lizzie Maddox. The Pilot Episode: Series 1: Whom The Gods Would Destroy, Old Schoo..
Own Lewis Series 1 DVD from Deff, DVD, Blu-Ray & 4K Video Specialists - Free UK Delivery..
Own Lewis Series 1 to 9 Complete Collection DVD from Deff, DVD, Blu-Ray & 4K Video Specialists - Free UK Delivery..
Own Lewis Series 2 DVD from Deff, DVD, Blu-Ray & 4K Video Specialists - Free UK Delivery..
Own Lewis Series 3 DVD from Deff, DVD, Blu-Ray & 4K Video Specialists - Free UK Delivery..
Own Lewis Series 4 DVD from Deff, DVD, Blu-Ray & 4K Video Specialists - Free UK Delivery..
Own Lewis Series 6 DVD from Deff, DVD, Blu-Ray & 4K Video Specialists - Free UK Delivery..
Kevin Whately stars as detective inspector Robbie Lewis, ably assisted by Laurence Fox as his partner D.S. James Hathaway. Together they investigate more murder mysteries against the historic and glorious backdrop of Oxford and it's university campus. Clare Holman returns as Dr Laura Hobson, alongside Rebecca front as chief superintendent innocent. Down Among The Fearful - When Psychologist Reuben Beatty is murderred while moonlighting ..
Own Lewis Series 8 DVD from Deff, DVD, Blu-Ray & 4K Video Specialists - Free UK Delivery..
Kevin Whately stars as Detective Inspector Robbie Lewis. In partnership With Laurence Fox as D.I. James Hathaway and assisted by Angela Griffin as the talented D.S. Lizzie Maddox. As a team they investigate murder mysteries against the glorious, but often sinister backdrop of Oxford and its historic colleges. While solving crimes our heroes also have to contend with a new boss, C.S. Moody, played by Steve Toussaint and are supported by ..